The withdrawal of the Peace app from the Apple App Store last week has attracted significant attention from the media with one reporter describing online ads as equivalent to junk direct mail. This comparison is completely unjustified and wrong. Yes, junk mail in its hey day irritated many consumers / home owners. However, the catalogues clogging up letterboxes which generated the term “junk mail” was one of the best ways at the time to reach out to consumers, particularly for local retailers and there was always a percentage of people who appreciated them. What it spawned was the common sight of NO JUNK MAIL signs on the letterboxes sitting in the front of many homes. The deliverers of mass marketing unaddressed “letterbox” drops complied with this. However, it could not – and did not – stop “addressed” Direct Mail from getting delivered. The Post Office had an obligation to deliver this … and it did. And that was great as there was often something special about Direct Mail. 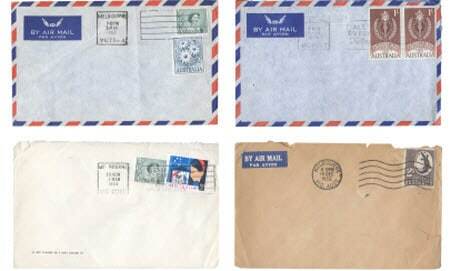 Most people would always open this mail and many would even save the stamps and add them to their stamp collection, especially if it came from offshore. Yes, some of this Direct Mail would have been deemed to be junk and would quickly find it’s way into your wastepaper bin. Because of the costs involved, the number of scammers and outright junk mail mailers was very small. In fact, I worked in the lettershop business in Australia for about five years during the late 80’s / early 90’s and I never encountered a scam bulk mailer. As outlined in The Internet is a LIAR, the digital world is completely different. There are companies who send out 70 million “junk” emails a day to any list they can get their hands on, totally un-targeted ads coming up at you all the time when browsing (look no further than your Facebook feed for examples), many ads are geared purely to getting you to click through and provide your personal details, and online scams abound everywhere. This is all because the Internet allows anyone to reach out to thousands, even millions, for pennies … and often for free. Nowadays EVERY ONE of us propogates the concept of “junk” in some way – e.g. a selfie, a social media post, a blog post, an email, etc which the recipients have not requested or have no interest in. Sure, it’s up to the individual to decide whether to look at what comes through when online – and that applied to the stuff in your letterbox as well. The volume today is just 1,000’s of times greater, particularly if you spend a lot of time online. Yes, digital ads can slow down loading of a site, and can be intrusive. However, blocking them is no big deal as Ad Blockers have been available for laptops and desktops for ages – there are over 200 million downloads of the AdBlock extension in the Chrome Web Store alone. What Apple have done with opening up the option for their devices is simply about giving people a choice. Likewise, the withdrawal of the Peace app is simply a decision made by the developer to run with his conscience on this matter and so it’s no different to how we as individuals respond to using such apps / extensions. Journos who try to draw comparisons between direct mail and online marketing should get their facts straight. Just remember that no matter how convenient it may be to do everything online, there is still something special about opening a direct mail piece and reading a hard copy magazine or newspaper. When you do, YOU become the ad blocker … and I am sure you will do a great job! The Postal Industry In Danger!